This West Duluth school took its name from pioneer and educator Reverend Edmund Ely, who established a mission at Fond du Lac before heading downriver to start Oneota Township. The two-story building of “thoroughly modern construction” held ten classrooms designed for up to five hundred students. 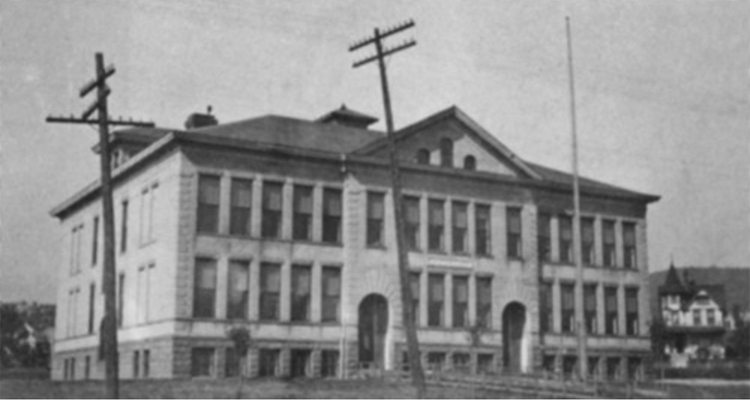 West Duluth’s first high school, Duluth Industrial High School, was housed inside Irving Elementary from 1905 to 1913. Most West Duluthians called the school “Irving High School” or “West Duluth High School.” In 1915 the first Robert E. Denfeld High School was built at 725 Central Avenue North (right next to Ely Elementary) serving 150 students. Irving Elementary became a junior high, and Laura MacArthur became its principal. By 1925 over eight hundred students were crammed into the first Denfeld. When today’s Robert E. Denfeld High School opened in 1926, old Denfeld was rechristened West Junior High. That same year Laura MacArthur was named principal of both West Junior High and Ely Elementary. Ely Elementary was destroyed in 1956, the same year Longfellow Elementary closed. Both schools were replaced by Laura MacArthur Elementary in 1957, and West Junior High became the west wing of Laura MacArthur in 1983. 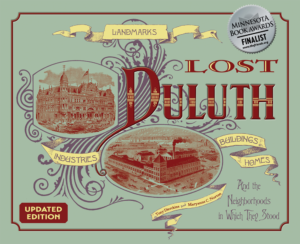 Both schools were demolished in 2011 to make room for a new Laura MacArthur Elementary as part of the Duluth School District’s Long Range Facilities Plan.